Changwon-si is located in the southern central of Gyeongsangnam-do, Korea. And it is the seat of Gyeongsangnam-do Provincial Hall. As a result of integrated promotion plan along with Masan-si and Jinhae-si in 2010, integral Changwon-si has been established with five general gus like Uichang-gu, Seongsan-gu, MasanHoiwon-gu, Masanhappo-gu and Jinhae-gu. The regional name of “Changwon” was originated from the annexation of Uichang and Hoewon in 1408. Old Masan-si was raised to Masan-bu in 1910 after the first urbanization. Old Jinhae-si, which was raised in 1955, has developed with naval service as the center. Old Changwon-si had been developed to planned city since 1973. It was raised to Changwon-si, after separated from Masan-si in 1980. It was radically developed to administrative industrial city after Gyeongsangnam-do provincial hall had been moved from Busan in 1983 and Changwon national industrial complex had been built. Yeojwacheon bridge has amazing scenery so that it has been called the Seine of Jinhae. 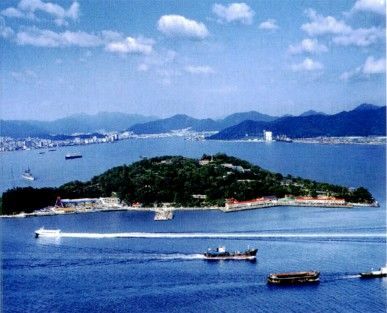 Jinhae naval port festival has been selected to must-go tourist attraction. So it is crowded with many people. 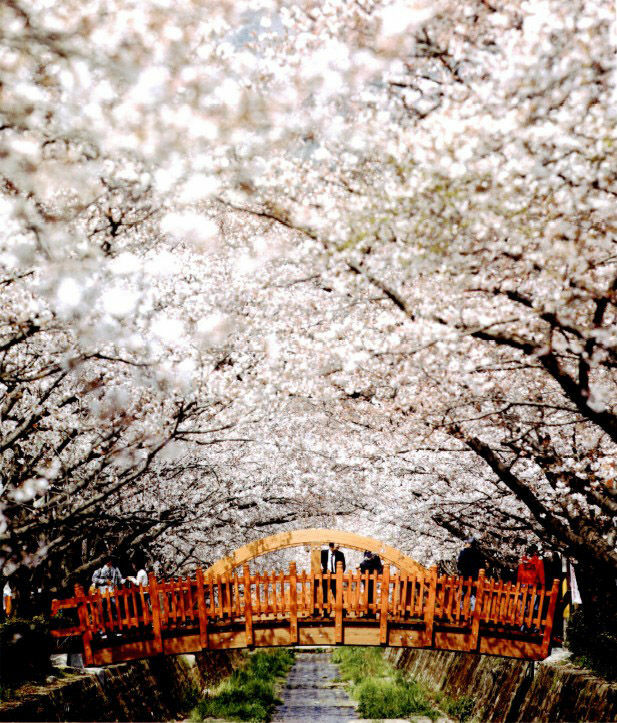 When cherry blossoms tunnel, the best scenery of April, is created, you can see wonderful scenery. So you must bring a camera. You can see Naesu-myeon eco park with reservoir and swamp after walking along Romance bridge. Naval port festival: It is the largest and most splendid cherry blossoms festival. It is the first memorial ceremony for admiral Yi Sun-shin. Now, it has become the country festival with over 2 million tourists. It is education and resting area with restored warm-temperate forest. It consists of Gwangseokgol resting area, youth training center and Wooden culture experience center. 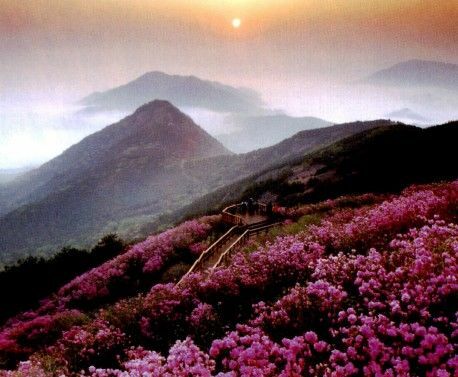 It is a good mountain to take a stroll with full of azalea and royal azalea in spring, and with wonderful reeds in fall. Red azalea beautifully covers the mountain in spring. 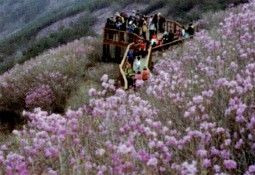 The east side of Yongjibong peak and the Octagonal pavilion in Cheonjubong peak are the habitats of azalea and royal azalea. It has been called Dotseom Island or Woryeong do. Many legends about the origin of the regional name have been passed down. It has beautiful flowers all the year round. So you can appreciate pine tree, the scenery of city and Machang bridge from the trail.